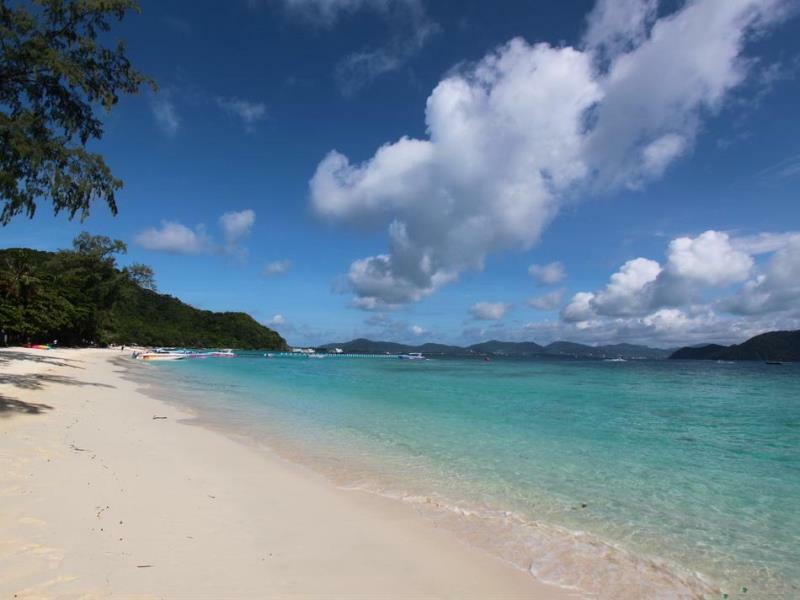 Coral Island is a picturesque tropical island and a very popular spot for visitors to take day trips from Phuket, located only nine kilometres southeast of Phuket. A day trip to the Island will provide lots of fun activities for the whole family. Or spend a few tranquil nights at the one and only Resort on the Island. Coral Island in Thai is known as Ko Hae and is spelt many different ways such as Koh Hei or Koh Hey. There are two main beaches on the Island. These two beaches are known as Long Beach and Banana Beach, there is also a few quiet bays on the other side. Is where the majority of day-trip boats visit, which at times through the high season can get quite crowded. Snorkeling at Long beach is not the best as most of the corals close to the shore has been damaged by the continuous activities. However if you swim out far enough from the shore you will see lots of colorful fish. Banana Beach is located east of Long beach about a fifteen minute walk, and is much quieter. The beach itself is smaller then Long Beach and is one of the best spots on the Island for snorkelling, it's an ideal location for beginners and kids. If you decide to spend a few relaxing days on the Island and feel like you want to get away from the crowds that arrive when the day trip boats come. Head towards the far ends of either beach and you will find peace and quiet, when the day trippers leave you will feel as though you have the whole island to yourself. If you want to chill out there are plenty of deckchairs along the beach or you could have a relaxing beach massage. Restaurants and toilet facilities are available for day trippers on both beaches. The Coral Island Resort is the only overnight accommodation on the island which is located at the eastern end of Long beach. 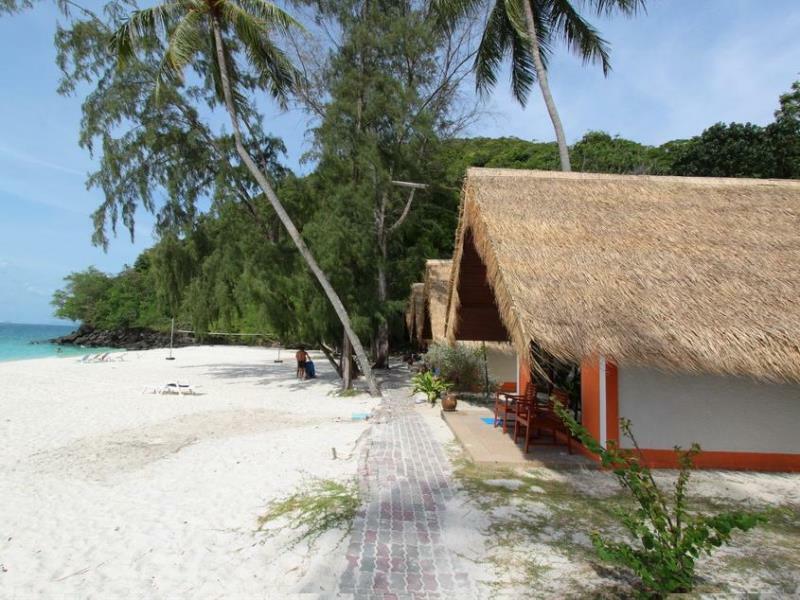 The Resort has 64 private one and two bedroom bungalows which are situated close to the beach. The Island and Resort is an ideal location for a romantic tropical beach wedding, the resort is able to organise special packages for your wedding in Phuket. Return speed boat to Chalong Pier and transfer to hotel. Tour prices will vary, but expect to pay around 1,200 baht per adult and 800 baht per child for a full day trip. Another option is to charter your own private speedboat. Or alternatively you can hire a longtail boat from Rawai Beach or Chalong Pier.